Tragedy strikes the small woodland village of Petun—the town is attacked and burned to the ground by vicious Neverland troops. But Petun is only the first of many massacres; the Demon Army tears through every human village it can find, slaughtering the people as it goes. Humiliated and infuriated by these abuses, the humans begin to resist and fight back. It starts as a rash of disorganized, sporadic riots. But it soon grows into something more, something meaningful. These uprisings become a beacon of hope to all humans, spurring them on to unite and form a new empire. They choose a name to reflect their most noble traditions, to reflect a time when they ruled over the demon horde. They call it the Reformed Simba Empire. Petun—little more than a bump in the road, a mark on a map. But this is where it all started, where the undercurrent of disdain and hatred overflowed into a bloody torrent of death and destruction, drowning Neverland in war for years to come. This is where our story begins—the story of the Seven Year War. 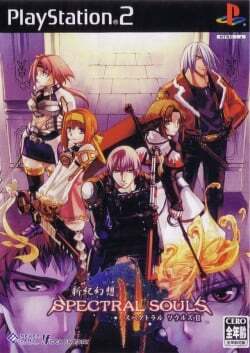 This game was remade into Spectral Souls: Resurrection of the Ethereal Empires in the US and released on PSP, Android, iOS, and PC. This page was last edited on 15 April 2019, at 14:19.